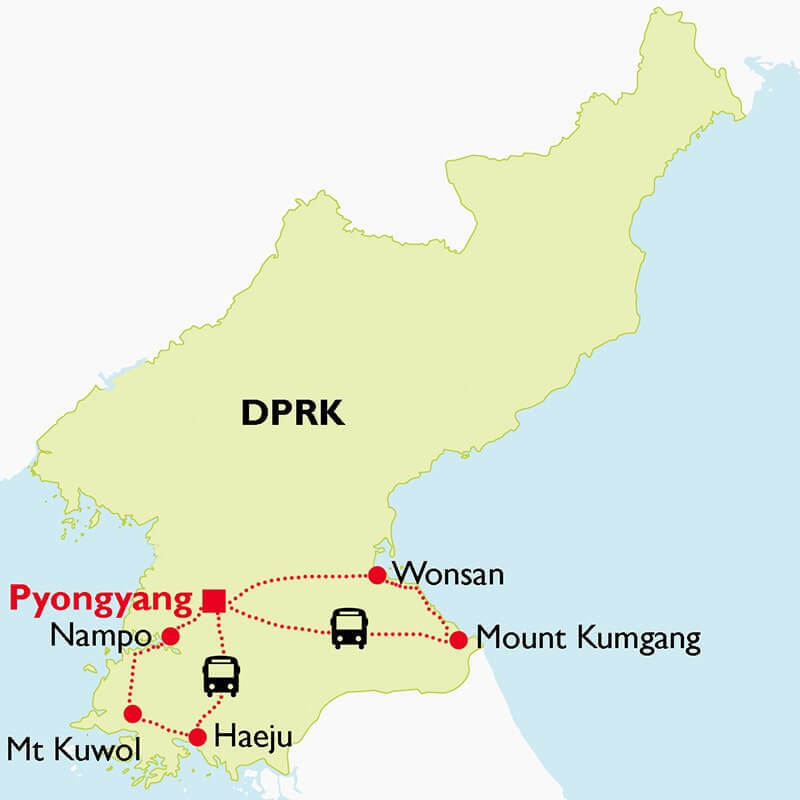 If you’re looking for a off the beaten track but short tour to North Korea (DPRK), this tour is for you. Drive 100km south of Pyongyang and 60km North of the DMZ, you can visit Haeju City, the little-seen capital of South Hwanghae Province. From here, continue exploring the famed Mount Kuwol Nature Reserve; the West Sea Barrage in Nampo in the west to coastal; beach town of Wonsan and Mount Kumgang in the eastern parts. You are to explore the places rarely visited by normal visitors and tourists. 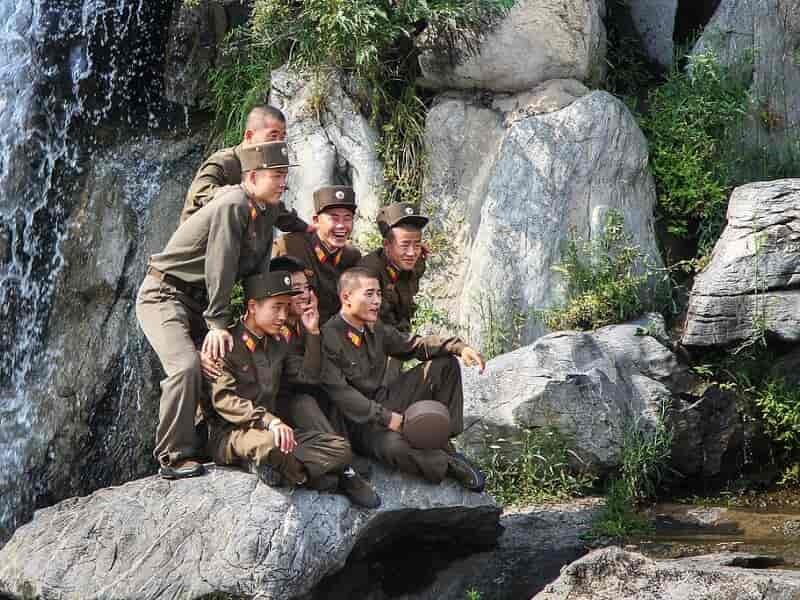 This trip to North Korea is also ideal for second-time visitors to the DPRK, or if you’re of the more adventurous kind! NOTE: This tour can be organized privately any time of year upon request. Those who want to save a bit of cost can embark the train ride from Dandong / Beijing to Pyongyang instead of flying into Pyongyang on the first day. Meet our guide at the Beijing Airport then receive the North Korean Visa and flight ticket for your North Korea Tour Packages. Then attend a pre-tour briefing that covers regulations, etiquette, safety, and practicalities while travelling in North Korea. Please be punctual for the briefing. A proper briefing is an essential part of travel to North Korea. After that, we will provide you with assistance with the boarding the plane to Pyongyang. Your North Korea Travel has already begun. 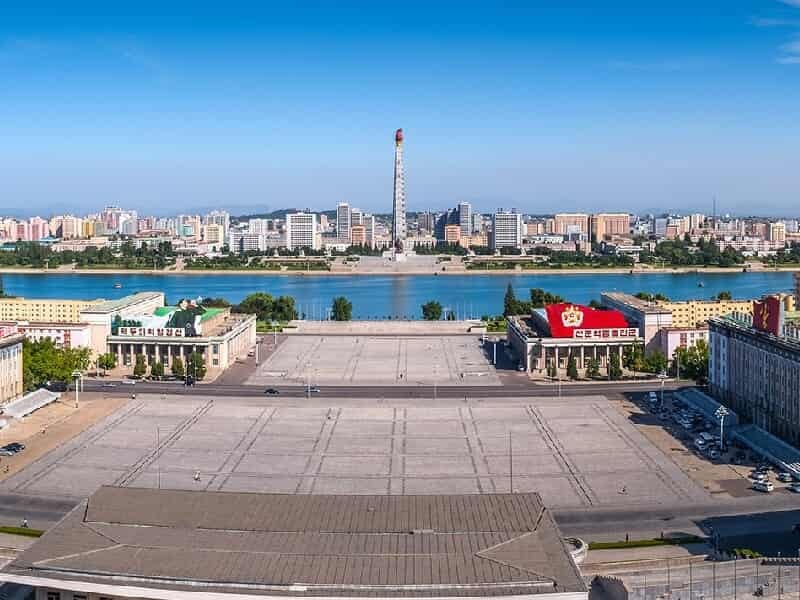 Arrive into Pyongyang, you will be met by our Asia Senses Korean tour guides with a warm welcome, then transferred to the city. En route to the hotel, our guides will point out the Arch of Triumph, the world’s largest triumphal arch. Head over to the Mansudae Grand Monument, an important site famous for its large, bronze statues of President Kim Il Sung and Chairman Kim Jong Il. It is customary to bow and lay flowers here. Stroll through the Mansudae Fountain Park, a serene meeting spot for students and an often used backdrop for wedding photos. A visit to these 2 places is a must in all North Korea Tour Packages, where you can get the very nice pictures. Optional: If the time permits, have an optional visit to the Kaeson Youth Amusement Park where the thrillseekers among us can brave the rides with Pyongyang locals on a night out. Entrance and rides, approximately 1-3 Euros each. Enjoy our welcome dinner at the local restaurant then overnight at the hotel! After breakfast, drive down to Haeju City through the countryside areas. Upon arrival in Haeju, visit Sokdamgugok and the Sohyon Confucian Academy, the famous nine scenic valleys have been known since ancient times in the region. The Sohyon Academy was built in 1575 by the scholar Yi Yulgok. 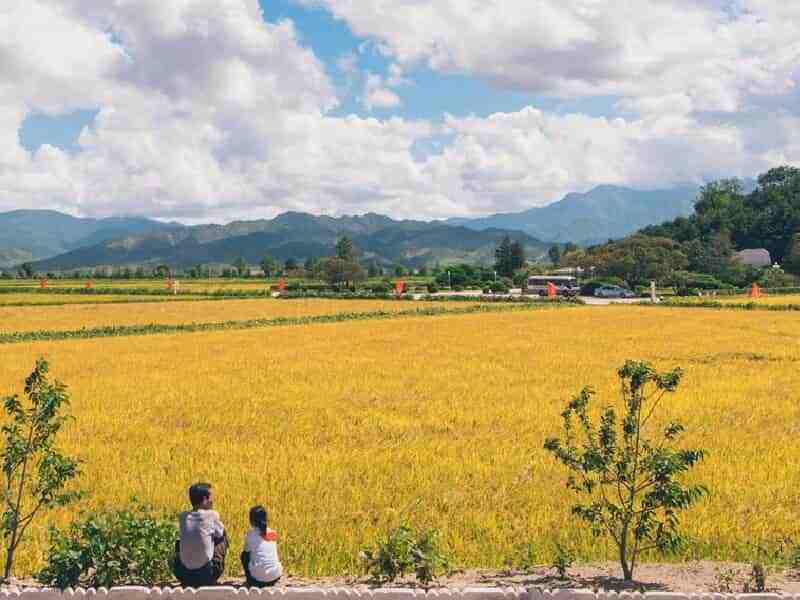 After picnic lunch in Unbyong valley, visit the Kyenam Stock farm, one of the largest farms in the region, this is a state-run farm. As opposed to a co-operative farm, this means all employees are employed directly by the state and paid a salary. The farm raises goats, poultry, and pigs, as well as growing mushrooms and producing yogurt. We also pass by Mount Suyang and the Suyangsan Waterfalls. Take a short walk on the mountain and see the scenic Suyangsan falls. Visit the Puyong Pavilion which was originally built in 1500 but was destroyed during the Korean War. It has since been rebuilt and sits in a lotus pond. Breakfast in the hotel and depart for Pyongyang via Mount Kuwol and Nampo. Mount Kuwol is a popular site for domestic tourists and is also preserved for its important bird life and forest species, as one of the few forests of its type in the country to survive the war intact. From here, we continue to Woljong temple, one of the DPRK’s official national treasures, originally built in the Koguryo period it was later rebuilt during the Joseon Dynasty. Have picnic lunch at the Mount Kuwol Area before driving to Nampo. Then it’s onward to the jewel of Nampo, an 8 km concrete, steel, and earthen barrage constructed between the Taedong River estuary and the West Sea for land reclamation, irrigation, flood prevention, and power generation. It also acts as a ship locks and fish ladder. 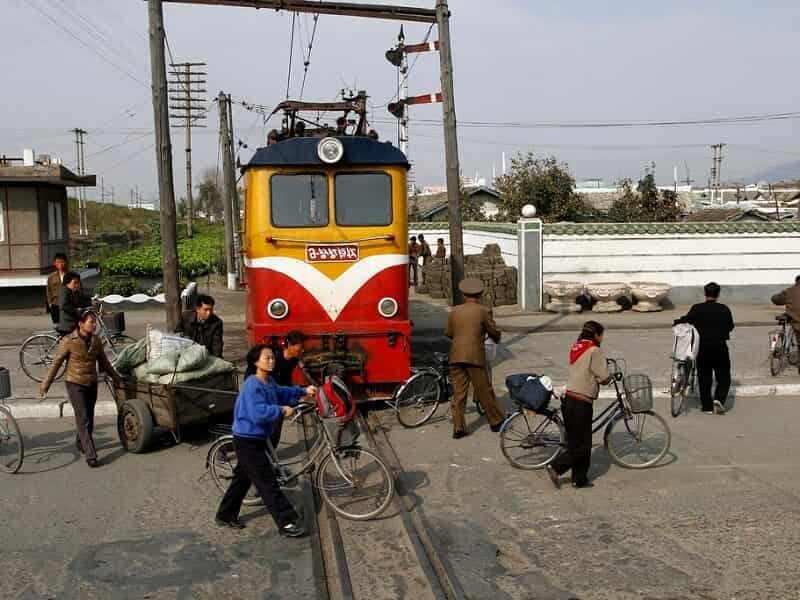 One of the DPRK’s greatest engineering feats. 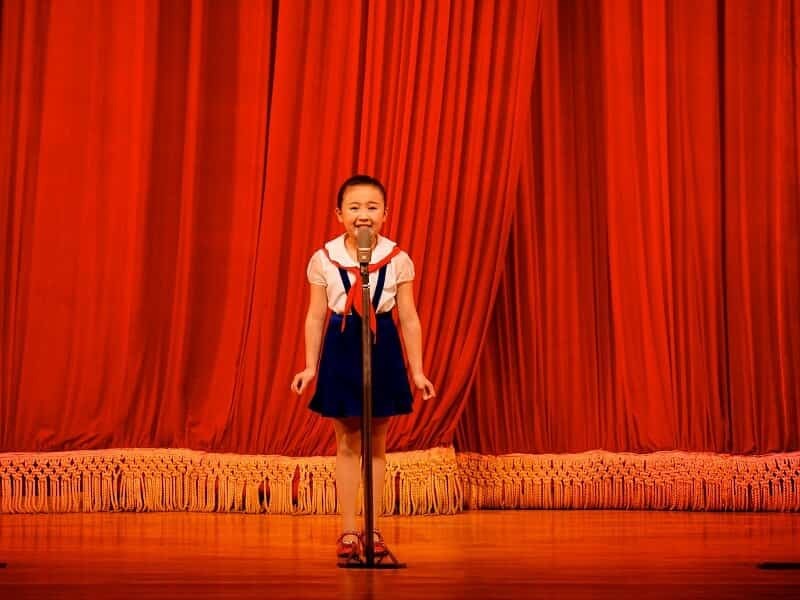 Subject to availability, we will stop at either the Chollima Steelworks or Kangso Mineral Water Factory, both famous names within North Korea, to get a glimpse into the workings of local industry. 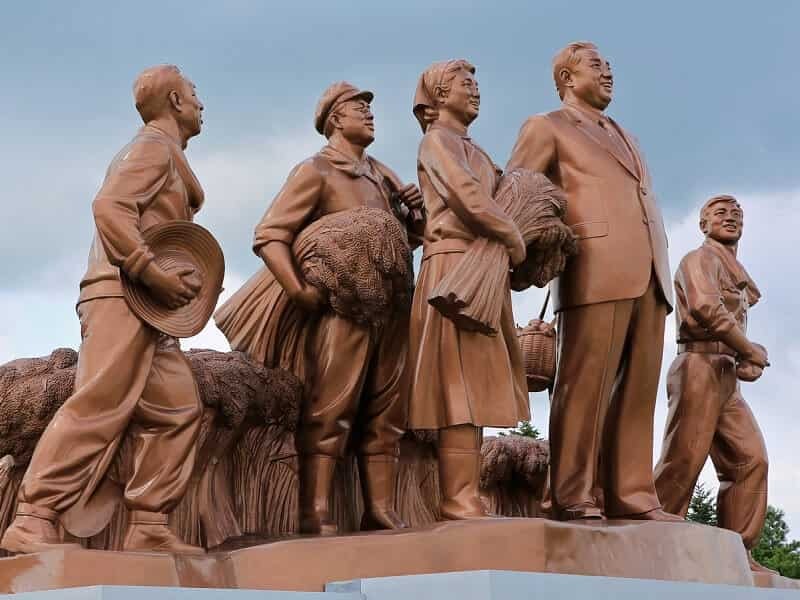 We will meet a local caretaker to learn of their role here, see inside their home, and also visit the impressive bronze monument of President Kim Il-Sung with local farmers. Our next stop will be the Chongsanri Cooperative Farm, part of a system of collective farms catering to the agriculture needs of surrounding communities. 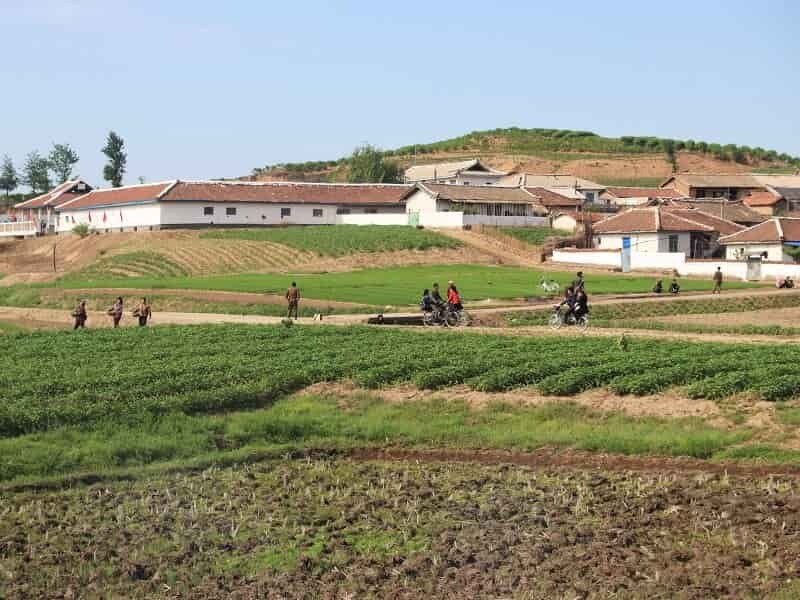 Learn about farming and rural living in the DPRK at this farming community. On the way back to the capital, if time permits, we will visit the Three Mausoleums of Kangso, a UNESCO site, to see ancient and original Koguryo tombs. Return to the capital and visit Kwangbok Supermarket, a five-story department complex filled with local and imported product and the only place in Pyongyang where foreigners are able to exchange and use the local North Korean Won. For dinner, we will visit South Pyongyang’s famous Duck Barbecue Restaurant, where you can grill your own meats or have Jeongol, a Korean-style hotpot at a local restaurant. This morning, we’ll depart for the east cost port city of Wonsan. En route, we will stop at the Sinpyong Tea House for coffee or tea in the fresh mountain air. Upon arrival in Wonsan, check in then have lunch before having a quick tour of the grounds. Afterwards, stroll into the city of Wonsan and have a guided tour of the Revolutionary Sites that played a prominent role in the fight against Japanese occupation and the Korean War. We will also get a tour of the Wonsan University of Agriculture, touted as the top institution for agricultural development in the country. 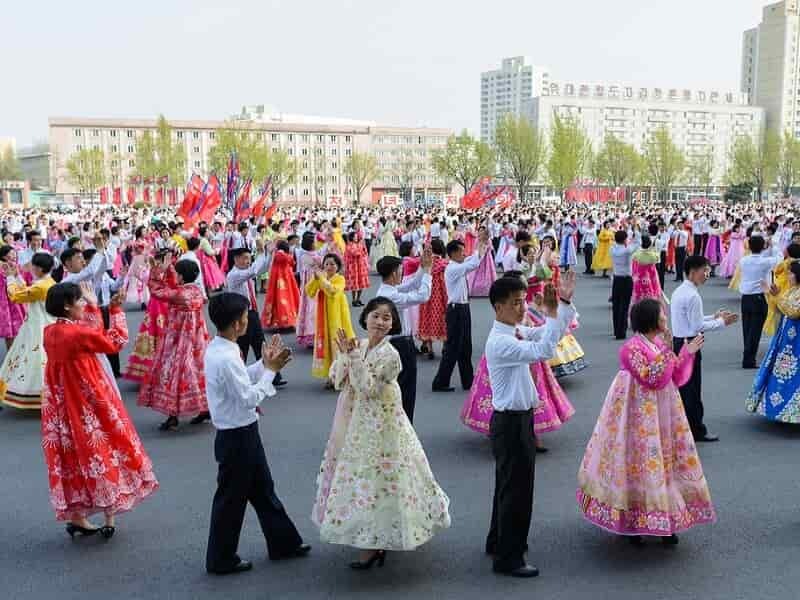 The DPRK’s premier agricultural university set among beautiful hillside scenery. Tour the grounds and the neo-Romanesque teaching hall, originally built by Germans living in the area in the early 20th century. Continue to Kangwon Province Art Gallery, a small art exhibition selling artwork by local artists, followed by a visit to Songdowon International Schoolchildren’s Camp, a classic socialist summer camp where Korean and international children can spend two weeks learning socialist values and teamwork. Visit the Wonsan City Docks which includes a central square and bronze monuments to the Great Leaders. Walk along the pier between dozens of fisherman to the Jangdok Islet where you can buy seafood that was caught just seconds ago by local vendors (there’s a 1 Euro fee to be paid at the entrance). We will get a picturesque view of the Wonsan skyline from here. Enjoy a city leisurely stroll through Wonsan before settling in for dinner at a local seafood restaurant. Enjoy a 2.5 -3 hour drive south along the East Sea coast to the scenic Mount Kumgang, the ‘Diamond Mountain’ noted in East Asian history and famous in Korean legend. Home of some of Korea’s most spectacular natural landscapes and best hiking. Upon arrival, explore the Samil Lagoon, a charming green-water coastal lagoon lined by pine forests. Named for the ‘three-day’ stay (sam-il) of a king in days gone-by to take in the full beauty of the area. After lunch, spend the afternoon hiking in the Mount Kumgang area – ‘The Diamond Mountain’ – a series of peaks and canyons rising above Korea’s eastern seaboard and regarded since time immemorial as one of the most scenic regions in East Asia. A 8 km (round-trip) hike to a scenic ‘Nine-Dragons’ waterfall will take us through forests, along mountain streams and by emerald pools. Drive back north to Wonsan in the morning then visit Former Wonsan Railway Station Revolutionary Site which was used as a preserved Japanese colonial era train station, waiting room, guesthouse, and the train which future President Kim Il Sung rode to Pyongyang during the liberation of the country in 1945. Spend time to relax and swim on the beautiful beaches of Wonsan or continue visiting some other attractions in town. Have lunch in Wonsan. Optional: Before we leave back for the Pyongyang capital, you can take the new Masikryong ski lift to the peak for an incredible morning view over the untouched mountain ranges (the ski lift is optional and a $15 fee to be paid at the ski lift). On our way back to Pyongyang, halt for a quick visit to the stunning Ullim Waterfall discovered relatively recently by the Korean People’s Army. It’s a waterfall you will hear well before you see. If it’s a nice day we will enjoy a picnic lunch here. Watch North Korean countryside life goes by as we head back to Pyongyang, and on our arrival we will be treated to an evening cruise on the new full service ferry, Mujigae, docked on the Taedong River across from the Juche Tower. Train departure at 10:25 with scheduled arrival in Dandong on the DPRK-China border the same day at 17:30. After that, our representative will help you with the bullet train to Shenyang. End of our services. Train departure by international sleeper train to Beijing with scheduled arrival at 10:10 to Beijing Station. End of our services. 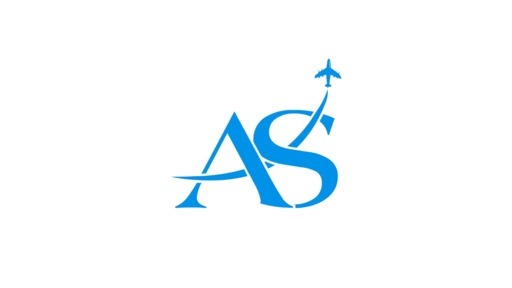 You will be transferred by our guides and driver to Pyongyang Sunan International ariport to catch the flight back to your preferred destination.